Working the Web to Win is dedicated to helping businesses navigate the ever-changing & unforgiving waters of the World Wide Web. You'll find answers to questions on SEO, Social Media, Video Marketing, Blogging, Content Marketing, Internet Security & much more. Have you ever wondered what the relationship is between face to face networking (aka word of mouth marketing) and social media marketing? Have you noticed all the similarities between these seemingly very different marketing venues? I mean, come on, with word of mouth you’re having a one to one meeting at a coffee shop and with social networking you’re posting current events in your industry, right? How could these two very different venues have any similarities at all? Well, in this series I will cover over three dozen similarities that these marketing systems have in common. It is my hope that once you understand the commonality of these venues, you will start to use them synergistically to gain more followers, prospects and long term loyal customers. In part one of this series, I will cover how these two systems are two sides of the same coin. In part two I will cover how both use the “Secret of Giving” and in part three I will explain how both require proactive engagement for your ultimate success. The following dozen bullet points cover the best practices and secrets that show the direct overlap of these two venues. 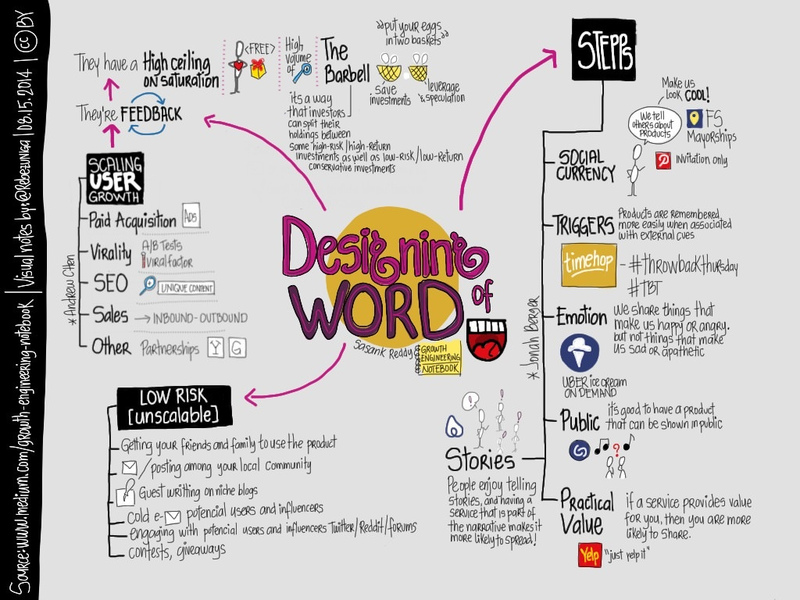 Each one provides an explanation of why and how word of mouth and social networking overlap. Some will be readily apparent, others may require a different perspective so read each one a couple of times to see if the light bulb goes on. If you disagree, you will always have a chance at the end to vent your beliefs. So let’s get started. (1) Word of mouth marketing and Social Networking have specific rules that need to be followed to be successful. Concepts like “givers gain” (from BNI), tell instead of sell, cultivate instead of hunt. When it comes to delivering an effective message, consistency, quality, professionalism, follow up, and follow through are all important. See my article the “12 Secrets of Social Media Success” and “How to Win Friends and Influence People in the 21st Century.” The laws of reciprocity are always in play in both venues. Others judge you more by your actions than by what you say, how you say it, or post it. Being congruent is very important. (3) Social Media is Electronic Word of Mouth - Social Media is an electronic version of Word of Mouth Marketing (a.k.a., social networking). From here on out almost everything I say about face to face networking also applies to electronic social networking. The only real difference is that the digital version of social networking makes things happen faster, goes further and has a bigger and wider impact. As a matter of fact, word of mouth networks and social networks work hand in hand every day. You can always find a word of mouth network spreading its message on a social network and you can find social networks spreading the word about the next networking event. Since business networking (a.k.a., Word of Mouth) works in conjunction with social media, make sure you coordinate your efforts so that both your face to face and your social networking are spreading the same message. Remember, both are viral, but social networking can spread your message faster, farther and over a longer period of time. This is a double-edged sword because it can spread both Good and Bad messages. (4) No one ever joined a Networking group to be sold to. - They joined to connect with others, build strategic partnerships, to get help, learn and to get referrals from others. They often forget that to get referrals, they need to give referrals. Social networking is the same thing; except the message moves faster and is potentially more viral. 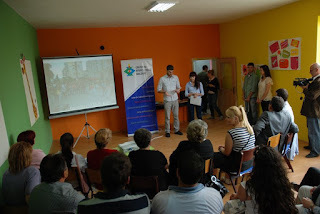 People joined to get connected, find useful information, build relationships, and in some instances, to be entertained. Many businesses join because they want to make sales, get referrals and connect with other businesses. No business joined to be sold to either! Networking (face to face or digital) is all about them; not you. They are your referral partners, clients and prospects. Make them happy to earn your loyalty and trust. The same is true of social networks. People joined for their own reasons, which has nothing to do with your reasons. (5) Connect with those you're with. - When networking, make sure you connect with the people sitting around you. Ask them to connect with you on social media. Take the time to engage in meaningful conversations. Share with others what you learned and be ready to help them connect with others as well. Take the time to introduce your new connections to people you already know. This will pay big dividends later on, as you will see. (6) For Networking, Influencers are the Key - If you’re posting to your social nets, provide high quality content that your audience is interested in. Minimize selling directly to your audience. Engage in fun, indirect selling by running contests, getting your best customers to provide testimonials, and engage influencers by helping them with their needs. Share the information that influences provide. If you’re in a face to face meeting help them with what they have going on. It won’t be long before they also come back to help you. (7) Be proactive; help others first. 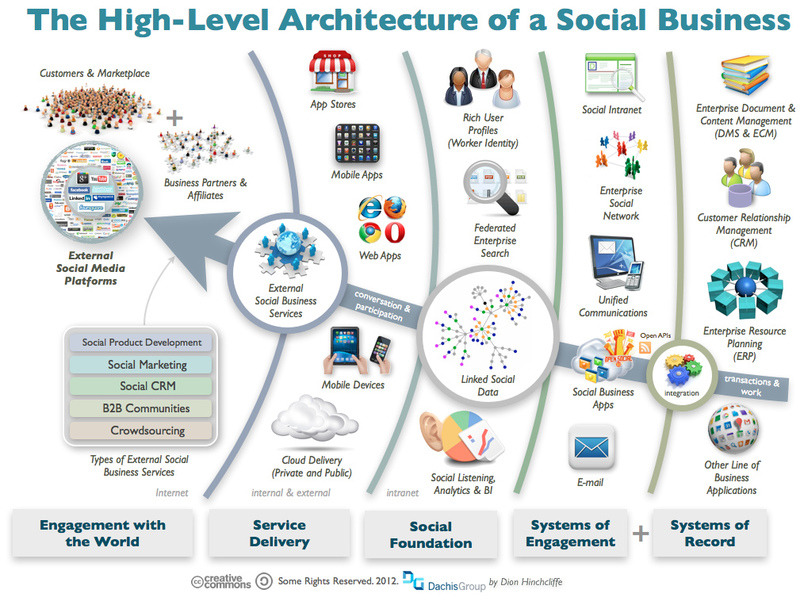 - In both Word of Mouth and Social Networking, help others first, if you want to be helped. If you are waiting for others to bring you referrals, you’ll have a long wait. Be proactive and extend a helping hand. It doesn’t mean you have to buy their product or service, however, it does mean that the help you provide them needs to be of “real perceived value” in the eyes of the person being helped. If you can provide referrals to a member first, it gets the Law of Reciprocity in motion and then it’s just a matter of time before it comes back to you. This is also true for social media. Help others learn the ropes about using social media. Help them get connected to others. Show them where free help videos are etc. They’ll become loyal followers, friends and advocates for your business. 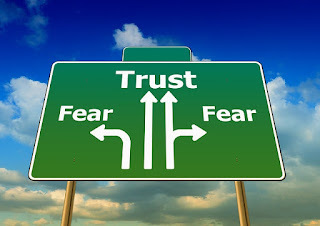 (8) Trust comes before any business takes place. - To build a strong network that creates referrals, you need to focus on building trust and strong relationships. That is your primary mission when networking, whether it's by word of mouth or social networking. When meeting with people, it’s just as important to learn about them personally, as it is to learn about their business, product or service. Trust and strong relationships are not just based on business-oriented partnerships. As humans, we have emotional factors that are stronger than just logic or financial interests. Learn and remember the personal aspects of your referral partners and customer’s lives, it will bring you both closer together. (9) Networking is about building relationship not selling products. - A common myth of networking is that your primary goal of the meeting is to sell to the businesses attending the meeting. The reality is you're there to build trust, credibility, forge strong relationships and create strategic partnerships. Once others trust you, they will buy from you if they need your product or service. However, having said that, you also need to make it easy for them to bring you prospects and to buy from you as well. Educating referral partners and prospect is a skill that cannot be brushed aside. (10) Prepare in advance who you’d like to network with - When attending a networking meeting, it’s a good idea to have already decided who your target market is. I like to target two or three specific categories of businesses when attending any event. For example, my plan may include meeting a restaurant owner, a retailer with two stores, and a multi-location chiropractor’s practice. It makes it much easier to ask for a referral if you know who you’re looking for. Notice I did not mention I was intending to sell to them. My goal is to get introduced to them, engage them, and then set up a second meeting where we can find out if we can mutually benefit each other. (11) Being there is half the battle. - If you miss a networking meeting you not only lose referral and opportunities to meet people, you lose top-of-mind awareness and credibility for commitment. If you want to be successful in word of mouth or social networking, you must be present to win. Being there in person is mandatory for word of mouth marketing. Social networking requires a daily commitment to social interaction. 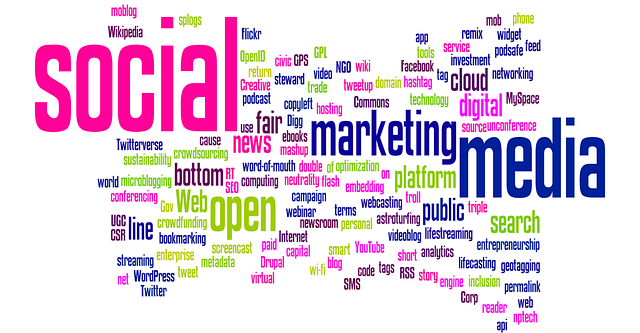 Word of mouth and social networking are active forms of marketing. If your mouth is not presenting at a networking meeting, it’s not delivering your message. If you skip a day of social posting, you fall off the timeline. In essence your message is not running. (12) We have two ears and one mouth – The full use of these two to one ratios will directly affect your networking success. That’s right “two ears and one mouth”. I first heard Steven Covey say this in the 1980 I believe, yet most act as if the opposite were true.” Listening is very important. Without good listening you will miss referral opportunities, both for giving and receiving them. More importantly, you will miss opportunities to help others – which in turn won’t come back to help you. 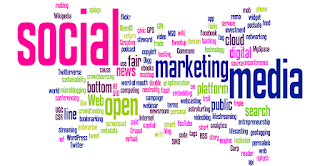 In this article I have provided 12 specific secrets and best practices that show how word of mouth marketing and social networking and just two sides of the same marketing coin. The 12 best practices list provides the reader the top reason why these two venues are directly related. In essence, it is my belief that word of mouth marketing and social networking are just analog and digital version of networking. The main difference is the leverage, additional tools and speed that the internet provides. This in turn amplifies the word of mouth marketing message. That’s my opinion. I look forward to hearing yours. This article is a part of a three part series. I recommend reading parts two and three as well to make sure you get the big pictures along with fine detail. If you found this article useful please share it with your friends, family and co-workers. If you have a comment or a different opinion, join the conversation by adding it to the comment section below. I recommend checking out "Six Cardinal Rules of Social Media Success" or "Seven Secrets of Social Media Magnets", “12 Secrets of Social Media Success “ and "How to Win Friends and Influence People in the 21st Century.". You can also search for other related articles by typing in “word of mouth or social networking” in the search box at the top of this blog. If you feel your business could use some help with its marketing, contact us at 904-410-2091,We will provide a free marketing analysis to help you get better results. If you'd like a FREE COPY of our eBook, "Internet Marketing Tips for the 21st Century," (in its 3rd edition), please fill in the form below. You will gain immediate access to it and as always, your information is always kept private and is never sold. Don't forget to Plus us on Google+. Hector Cisneros is a partner, COO and Social Media Director for the award-winning, Internet-based marketing firm, Working the Web to Win, in Jacksonville, FL. You can connect with him on Twitter, Facebook, Google+, LinkedIn, and YouTube. He’s also the co-host of BlogTalkRadio’s “Working the Web to Win,” where he and Working the Web to Win’s co-founder, Carl Weiss, make working the web to win simple for every business. He's a published author of three books, "60 Seconds to Success"(available at Amazon and B&N), and "Internet Marketing for the 21st Century," which you can get by filling out the form above. He’s also the co-author of the new book, “Working The Web to Win,” which is now available on Amazon.com. What’s at Stake When It’s Fake? Is Online Gambling a Bad Bet? Are Social Networks Becoming Antisocial? Is Your Website a Serial Killer? How Do You Stack Up Online? Your information will not be sold or shared with any third party. It will only be used to communicate with you and can be removed by emailing hectorc@workingthewebtowin.com with Remove from Free Analysis in the email header. WHAT GOOGLE SAY'S ABOUT HIRING A VENDOR! Fill out the form to get our newsletters & Free eBook, Internet Marketing Tips. Your information will not be sold or shared with any third party. 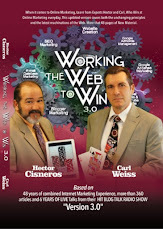 It will only be used to communicate with you and can be removed by emailing hectorc@workingthewebtowin.com with Remove from Free eBook list in the email header. 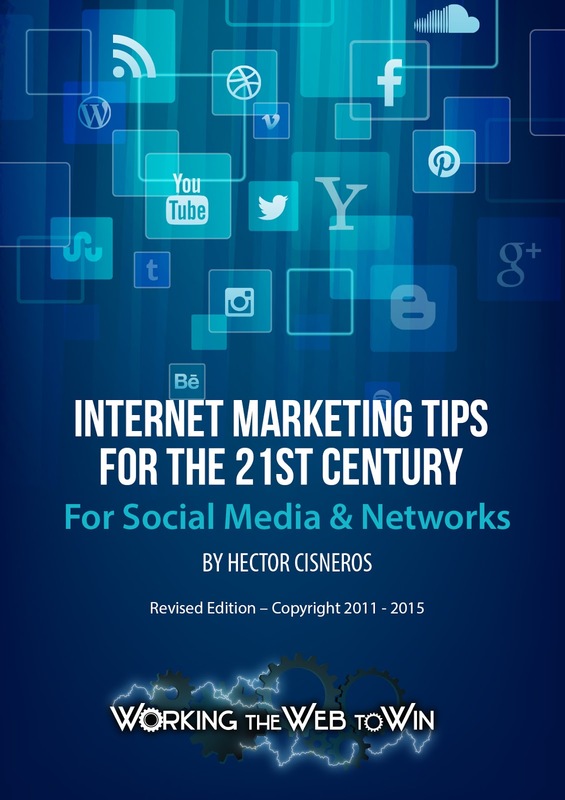 Updated & revised - Includes 170 pages of the latest Internet Marketing information - Best money you can spend online! What’s Up with Web 3.0? Will You be Able to Stomach the Internet of Food? Copyright WorkingTheWebToWin. Simple theme. Powered by Blogger.